If you’re look for a place to develop your brand, Facebook is the spot. With over 500 million daily active users, it’s a great platform on which to engage followers and promote yourself. It’s also an ideal environment to monitor how successful you are at engaging and promoting. Here is a list of tools to develop your brand on Facebook. There are simple apps, as well as full app suites, to engage fans and promote your brand. There are also tools to monitor what people are saying about you and to track how well you are engaging fans. Pagemodo. This app provides everything you need to build clean, professional, and engaging Facebook pages without the need for design or technical skills. Engage followers with easy-to-add features like slideshows, videos, contact forms, and maps, and powerful social media tools like fan coupons and “Like” gates. Price: Free. Wildfire. Wildfire offers a suite of apps for social media promotion. Run sweepstakes, contests, coupons, trivia and quizzes, instant wins, group deals, or pick a favorite. Use the promotion builder tool to run targeted affordable promotions. Price: Promotion builder plans start at $5/per promotion + $0.99/day. Woobox. 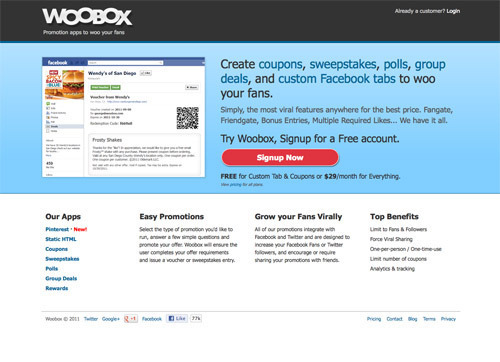 Woobox also has a suite of promotion apps for your fans. Create coupons, sweepstakes, polls, group deals, and custom Facebook tabs. Price: Custom tabs and coupons are free. App suite is $29/month. LiveChat for Fan Pages. The LiveChat app enables you to provide real-time support to fans or potential customers with live-chat and survey windows. App shows visitor info, such as location and keywords used to get to your site. Get conversion rates, satisfaction info, searchable archived conversations, and more. Price: Basic plan is $36 per month with 1 operator seat. Forum for Pages. 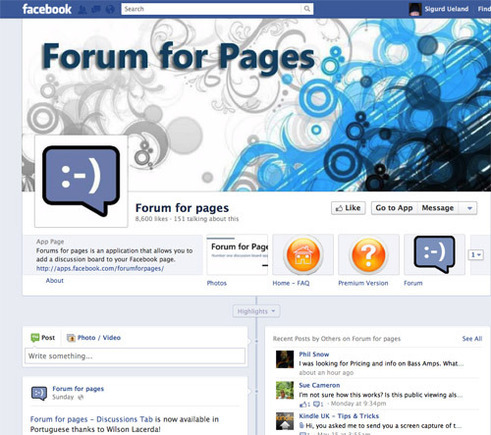 Forums for pages is an application that allows you to add a discussion board to your Facebook page. It features threaded discussions, moderator edit control, lockable topics, and blockable keywords. Premium version features integration with Google Analytics, RSS feed, ad-free, and a customizable header. Price: Basic is free; Premium starts at $5/month. Forum For Pages on Facebook. Friend Card. The Friend Card application allows fans to create customizable branded greeting cards to send to their friends. Upload your logo and create a default message to fit your brand image. Price: Free. SupportTab. This app creates a simple table for your fans to ask questions and find support. This is a nice tool to support your customers, without having to create a full forum. Price: Free. Offerpop. 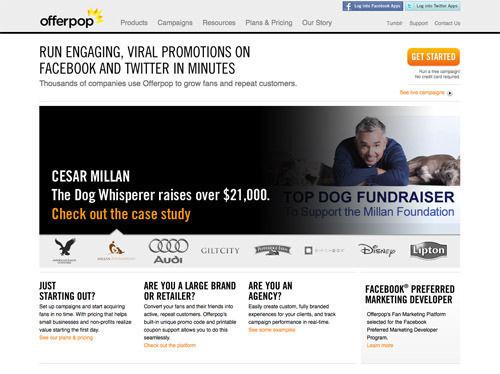 Offerpop provides a suite of promotional and engagement apps for build campaigns on Facebook. Apps include quiz, video contest, deals, referral, look book and more. Use one app and pay per campaign, or get a monthly subscription and access all the apps. Price: Free if you have under 100 fans at the start of the campaign. For over 100 fans, per-campaign starts at $10 for 14 days and subscription starts at $15/month. Coupon for Pages. This app by Involver is an easy way to offer coupons and promotions on Facebook. The application allows you to create two coupon formats and takes just minutes to set up. Customize the look and feel to match your brand. Price: Free. MailChimp App. MailChimp has a Facebook app that creates a mailing list sign-up form and tab on your page. 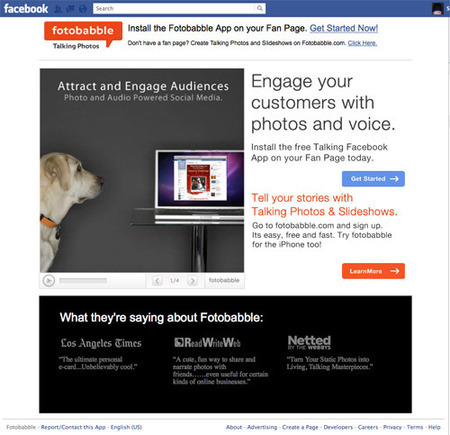 Fans can signup for your newsletter without having to leave your Facebook page. Price: App is free for MailChimp users. MailChimp plans start at $10 per month. Fotobabble. Fotobabble is a free talking Facebook app. Install it on your fan page and tell stories with talking photos and slideshows. Price: Free. Trackur. Monitor your Facebook mentions on Facebook, along with other social media sites, blogs, and news feeds. Run a Facebook search using the advanced filters. Save a search and receive updates on mentions via RSS alert or email. Price: Free plan allows one saved search. Paid plans start at $18 per month for five saved searches. Social Mention. 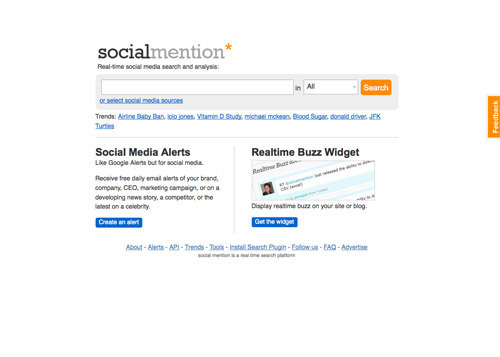 Social Mention allows you to easily track and measure what people are saying about you, your company, a new product, or any topic across the web’s social media landscape in real-time. Monitor Facebook, as well as more than 100 other social media properties including Twitter, FriendFeed, YouTube, Digg, and Google. Price: Free. Alterian SM2. This is another tool to monitor Facebook, along with other social media and news sites. Features include multiple RSS feeds, demographic breakdowns and sentiment analysis, and a variety of additional advanced reporting tools. Price: Free version limits users to 5 searches and 1,000 results. Call for premium pricing. EdgeRank Checker. EdgeRank is an algorithm developed by Facebook that ranks objects in the News Feed, filtering out posts that aren’t preforming well. 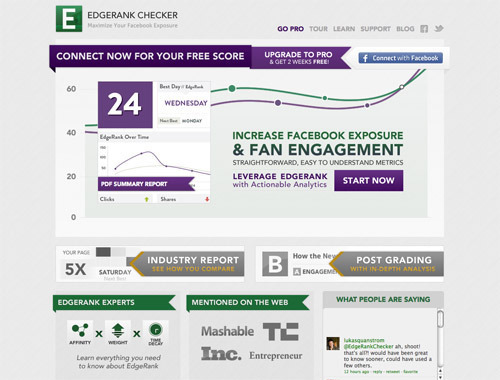 EdgeRank Checker analyzes the EdgeRank effects on your posts and gives recommendations to optimize your presence. Find out when and how often to update, what type of media to post, and more. Price: Free plan gives your EdgeRank score and best and worst average days of the week. Paid plans start at $15 per month for in-depth analysis and recommendations. PageLever. 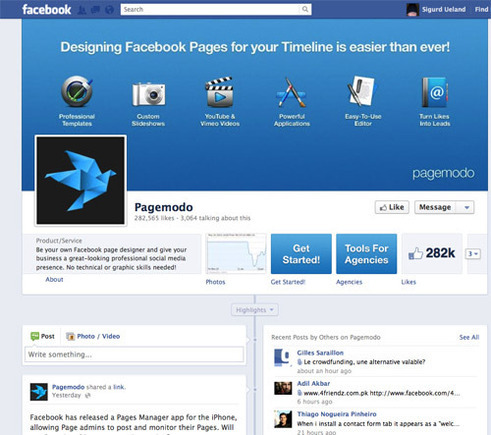 PageLever gives you an analysis of your page. Get alerts on the major changes on your page. Compare post campaigns to understand what performs better. Know who your fans are across all your pages, where they come from, and when they’re leaving. Price: Plans start at $99 per month. Alerti. Alerti is a tool to monitor and measure what is being said about your brand on Facebook, as well as other social media and in the news. Measure the engagement of your communities with detailed statistics. 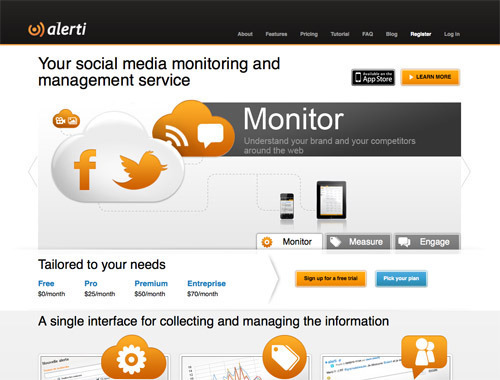 While on Alerti, you can also interact on Twitter, and follow and manage your Facebook pages. Price: Free plan allows you to saved one alert. Paid plans starts at $25 per month and offer advanced stats and social management tools.